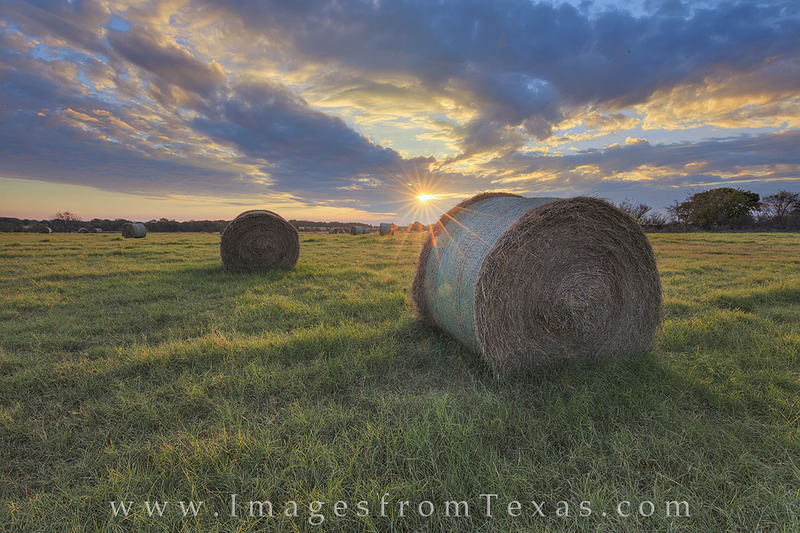 Sunrise comes to a field of hay bales on a Texas ranch. This image was taken on Thanksgiving morning - a crisp, calm start to a beautiful day. Photo © copyright by Rob Greebon.